Women throughout the world still face inequality throughout their lives. Social expectations about gender roles effect the roles and opportunities for both women and men. These differences mean that policies impact differently on women and men. For example women are more likely to have responsibility for unpaid work, like care work and domestic work. This means they have less time for other activities, including paid work. This, combined with the undervaluing of work traditionally done by women and discrimination in the workplace means that women typically earn less than men, have lower incomes over a lifetime and are more likely to be poor in old age. This means women are less likely than men to benefit from tax cuts, and more likely to need social security. It also means they are more likely to benefit from public services that reduce the amount of unpaid work they need to do, and therefore hit harder when these are cut. Income isn’t always shared equally within households, so women and girls may not benefit as much as men if household income goes up. Policies that focus on improving household income may not benefit women as much as policies which focus on women’s individual incomes. But women remain under represented in public life, so policy makers often do not take women’s needs into account. This can lead to policies that don’t work for women. One way to challenge this is through Gender Responsive Budgeting. GRB means thinking about what impact spending and revenue raising decisions will have on gender equalities and to adopting policies that will bring about greater equality between women and men. At its best Gender Responsive Budgeting is a tool for bringing about change. This means not just analysing policy, but changing it. 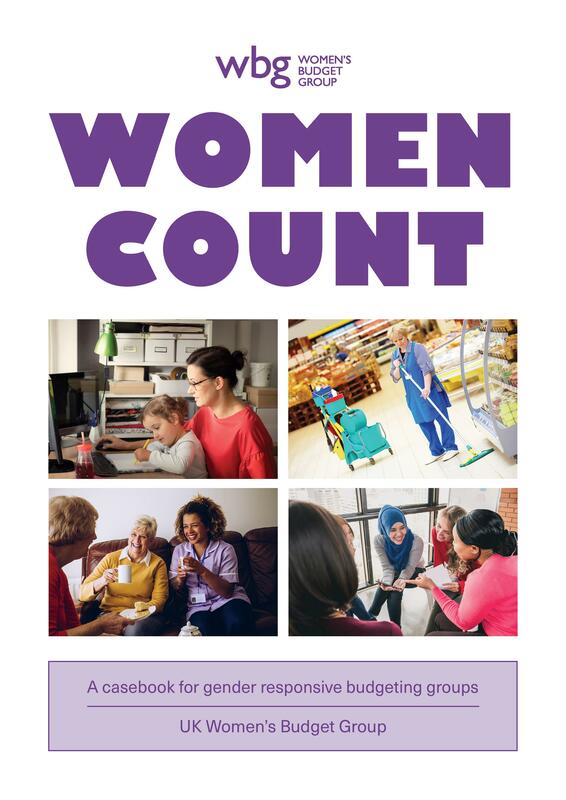 For that to happen women’s organisations and other civil society organisations need to be able to hold Government’s to account, and keep up the pressure to make change happen. The Women’s Budget Group has been working to promote Gender Responsive Budgeting, and feminist analysis of economic policy since 1989. We are often asked how we do what we do by organisations in other countries wanting to do something similar. With support from the Open Society Foundations we have produced a casebook drawing on our experiences to act as a resource for other women’s organisations and civil society groups interested in GRB. This important piece of work was made possible by a grant from Open Society Foundations.